Find the Vivreau water solution that is right for you. Environmental stewardship is just the beginning. Vivreau also helps companies realize their health and wellness, cost savings, revenue generation and custom branding objectives. At its core, Vivreau is about sustainability, in every sense of that term, including environmental stewardship, human health and wellness, positive social change, and financial responsibility. Vivreau clients employ our systems to meet a variety of important objectives, oftentimes checking numerous boxes at once through the adoption of an integrated water solution. Vivreau has been at the forefront of innovation in water sustainability for more than 30 years. 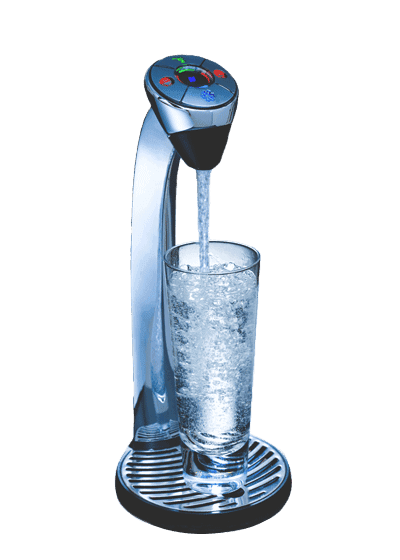 Offering unlimited still and sparkling water can be an integral part of a successful Employee Health & Wellness Program. An investment in a Vivreau system is a long-term investment in a healthy bottom line. Custom branded glass designer bottles are an unforgettable showcase for your brand and a statement in environmental stewardship. Using a mix of Vivreau bottles and Vi taps will efficiently and effectively supply the many water service needs in a corporate environment. 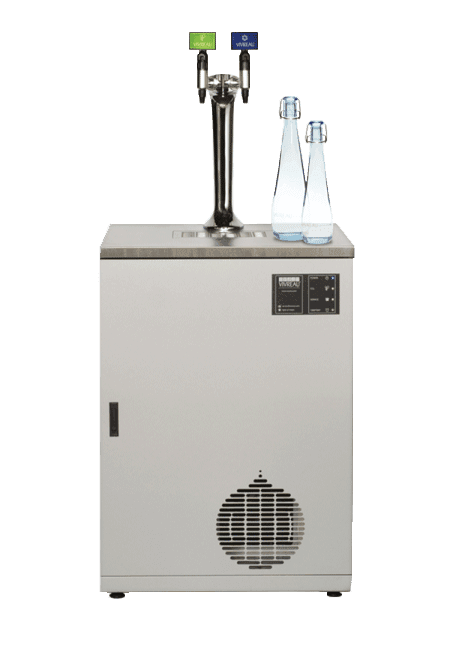 Designed with a perfect mix of functionality and contemporary style, Vivreau water systems integrate seamlessly into any environment, whether front and center in a VIP setting or the high traffic workspace of a hotel conference center.